Earlier today, a 20th-century Bates Outing Club tradition was reignited when newly elected Maine Gov. Janet Mills lit a ceremonial Winter Carnival torch outside the Maine State House in Augusta. 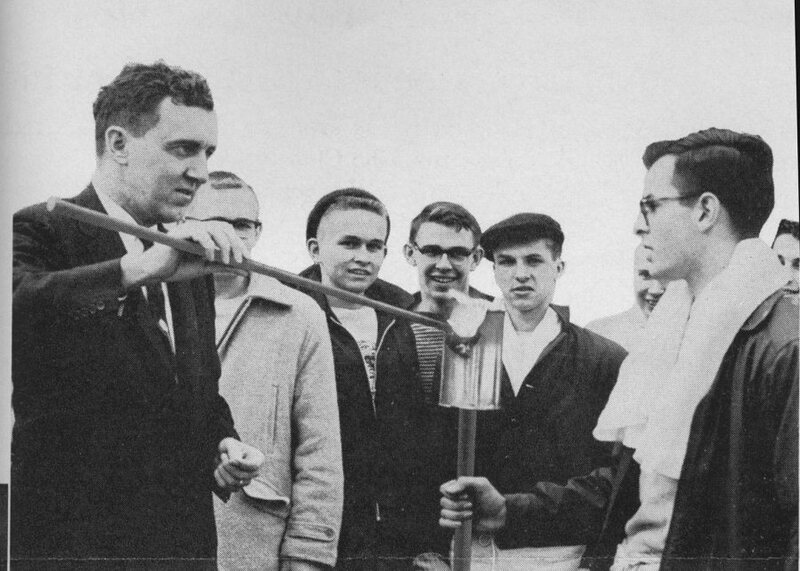 The Bates torch-lighting tradition was begun in 1958 when then-Maine Gov. Ed Muskie ’36 lit a torch to kick off that year’s Olympic-themed Winter Carnival. Today at 9 a.m., taking a few lighthearted minutes from her big duties (such as delivering her first state budget), Mills met eight Bates students, including torchbearer Gordon Platt ’19, BOC vice president from Groton, Mass. After Mills lit the torch, the Bates students set out on foot for campus, 30.1 miles away. A total of some 20 students, running in four-person relay groups of about three miles, were scheduled to deliver the lit torch to campus by 3 p.m. to kick off the annual Puddle Jump. This year’s runners are members of the Bates Outing Club and the Bates Running Club. The college’s Winter Carnival has been a Bates Outing Club tradition since the club’s formation in 1920. Next year marks the club’s centennial. Maine Gov. 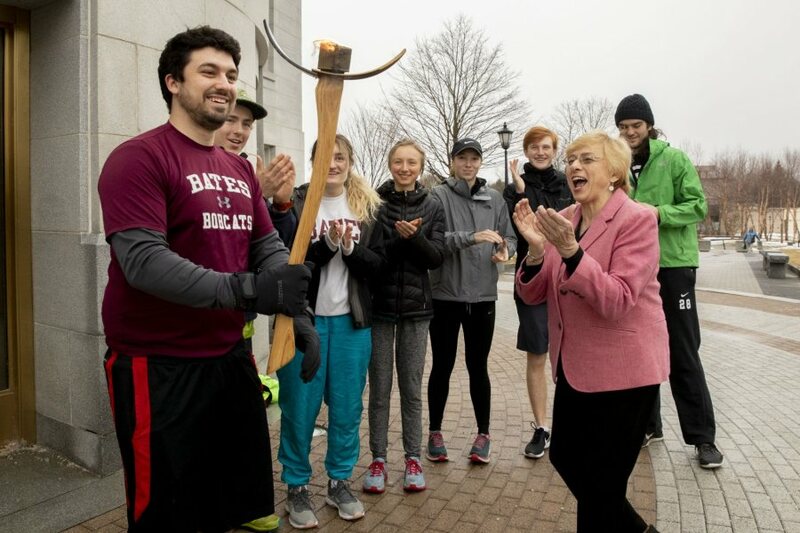 Janet Mills lights the Winter Carnival torch, held by Bates Outing Club vice president Gordon Platt ’19.